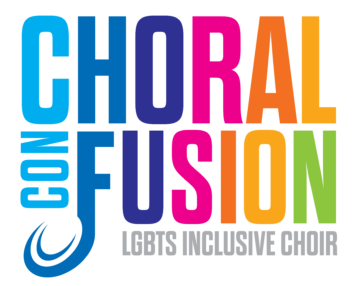 Choral Con Fusion was established in late 2010. From the beginning, the choir has aimed not only to make musical progress but also to be a bridge between communities and to be an organisation that would welcome everyone equally, regardless of musical experience, sexual orientation, gender or background. As such, the choir has modelled itself variously as “Inclusive” and “LGBTS” in an effort to convey this philosophy. The choir has grown consistently since its first rehearsal (which consisted of just eight people) and has performed in a wide variety of venues and contexts, recorded music, and participated in Pride and Choral Festivals alike.